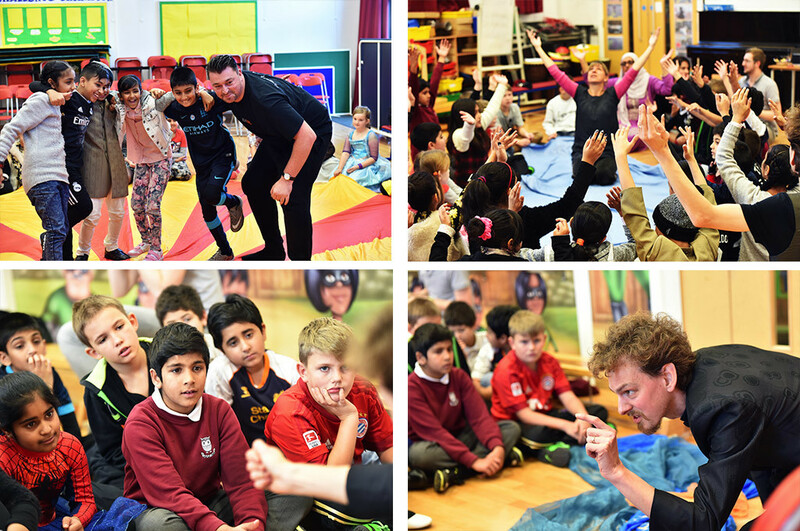 ‘THE STORY MAN’ is a touring project working with children in 8 local primary schools in Calderdale. It weaves together the memories of local Pakistani Elders to create a moving and deeply informative education workshop that explores the issue of migration, establishment of community and belonging and builds shared tolerance and understanding. Over the past 6 months national and international news has been dominated by images and stories of people leaving their homeland to escape war and/or persecution. But the experience of migration and journeying is a historical and constant phenomenon and we need to find a way of helping our young people understand how and why people travel to a new land in search of a better life. Working with ace storyteller Peter Findlay and dance artist Natalie Speake ‘The Storyman’ workshops in draw on reminiscence from Elders from the local Pakistani community about their journey to the UK 40-50 years and how they worked to establish their own community, rich in culture and tradition.